Welcome to the Music Department at Keene State College! The Music program at Keene State College offers an experience like no other. Accredited by the National Association of Schools of Music, we deliver a rigorous, conservatory-style curriculum that generates high placement rates in jobs, graduate programs, and performance opportunities. Our 40+ faculty members hail from across the globe and offer a variety of classes, ensembles, and lessons that support our Music degree programs. 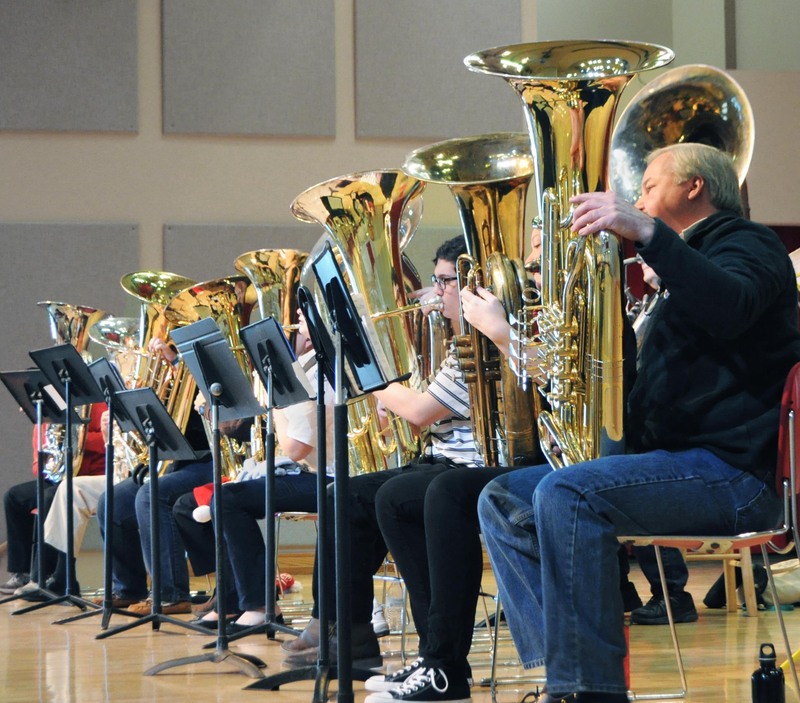 TubaChristmas invites participation of students, faculty, and community members. We are an active, multi-faceted program offering over 80 events per year, supporting more than 20 ensembles, and offering one-on-one lessons across all vocal and instrumental categories. We serve over 500 students in the College’s Integrative Studies Program, offering an interesting array of topics such as Listening to Brazil, The History of Jazz, Music Cultures of the World, and Avant Rock. We love teaching in the Cheshire Academy for Lifelong Learning, collaborating with community organizations such as MoCo Arts and Apple Hill, and bringing in guest artists from around the world who work with our students in lessons and master classes. Many of our faculty, as well as our highest-achieving students, are members of the Kappa Pi chapter of Pi Kappa Lambda, the national music honor society. We also host active student chapters of the National Association for Music Education (NAfME), the American Choral Directors Association (ACDA), and Music Teachers National Association (MTNA). Students interested in becoming a music major or minor will need to pass an audition. Prospective students interested in the Music program can join us for a Shadow Day! We’ll match you with a current music major student who best matches your areas of expertise. It’s a great way to spend a “day in the life” of a music student – and we think you’ll like what you see! Faculty TEDx talk KSC Music faculty Dr. Rebecca Hartka and Dr. José Lezcano build bridges through powerful and moving performance. A Life Allegro! New music faculty Dr. Josh Long makes his mark as a band director, brass coordinator, music educator, and businessman.